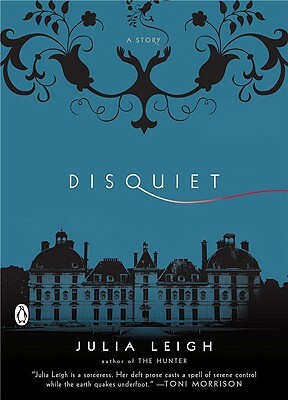 I am obsessed with Disquiet. (Which is a little disturbing, if you’ve read it.) It could easily have been titled “Unsettling.” It’s so, so good! It’s about a woman who flees to her mother’s home after a long absence. With her are her two young children, their father the reason for her flight. They are joined by her brother and his wife, who are grieving the loss of their baby. In a most unsettling way. This is 120 pages of deeply disturbing behavior, and it is certainly not for everyone. But if you’re like me, and you love your books a little on the unsettling side, it is perfect. And the writing – oh, the writing! It is exquisite. Leigh also wrote another novel I absolutely love, called The Hunter, about a man searching for the supposedly-extinct Tasmanian tiger. It was made into a movie with Willem Defoe in 2011. And exciting news: I recently learned Leigh has a memoir coming out this year, Avalanche: A Love Story. I’m sure it will be nothing less than amazing. I wouldn’t expect anything less from a protégé of Toni Morrison. Spooky, I was just waffling on whether or not to buy this book since I picked up the galley for Avalanche at work and was looking up the author.I just lovvve the moody cover.